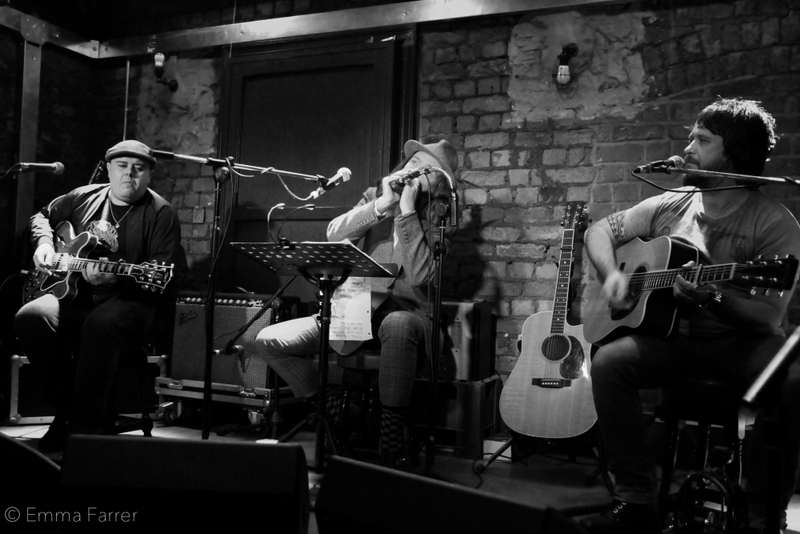 The Plumedores playing a warm up show at The Eagle Inn in Salford prior to Manchester and London dates supporting Guy Garvey on his 2015 solo tour. The Plumedores feature Danny McTague on vocals alongside guitarists Dean Casement and Mark Potter. As Mark is also a member of Elbow there is an assumption by many that The Plumedores will have a strong Elbow edge to their music but this couldn't really be further from the truth. The Plumedores mix traditional sounding melodies with blues, folk and roots and their set on a rain lashed Friday was frenetic and fun.